The internet’s exploding again. This time it’s over a Celine womenswear tunic worn first by hip-hop icon Kanye West and later by his wife’s half-sister’s baby daddy, rapper Travis Scott. This family affair begs the question: who wore it better? We’re here to help you decide which of the Kardashian leading men wore the ladies’ shirt best! 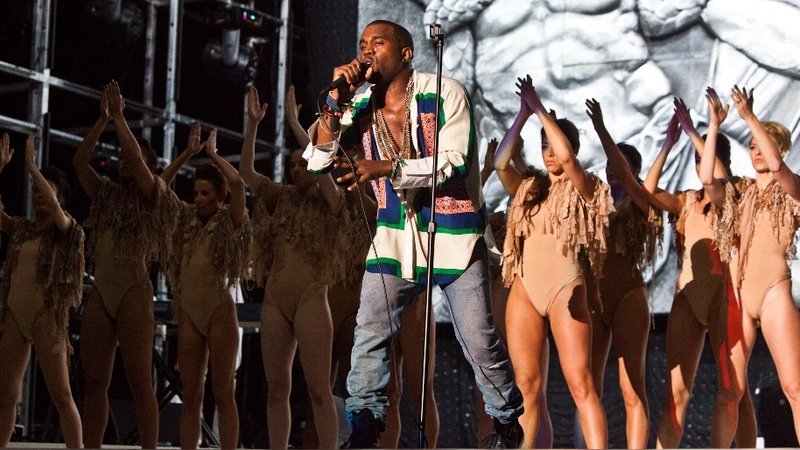 The look originated with West during his iconic 2011 Coachella performance. He wowed critics when he chose to wear the womenswear tunic on stage. The breezy fit was perfect for the lazy desert festival and unrelenting sun. This was back before Kanye became the ultimate troll and was simply that guy who stole the mic from Taylor Swift. At the time, West had recently released his magnum opus My Beautiful Dark Twisted Fantasy, which was possibly the peak of his career. Since then, he’s been kind of a hot mess, marrying into the Kardashian family and daring to power clash harder than anyone on Earth ever has. 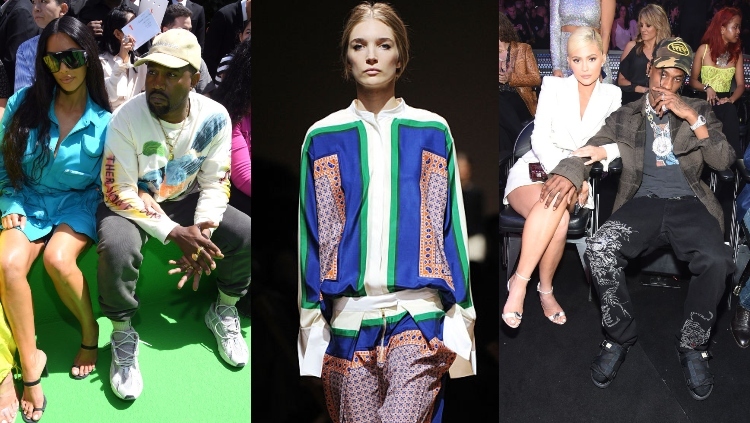 Can Kanye’s star power of yesteryear hold up against his pseudo brother-in-law’s? Rapper Travis Scott should be most famous for his music career. Instead, his claim to fame is knocking up Baby Kardashian (a.k.a. Kylie Jenner). Scott’s worked hard to gain a reputation outside of being a Kardashian boy toy, which is why his decision to wear the same tunic as Kanye is bold AF. Travis makes the Celine shirt work in a fresh and relaxed way. He pairs it with a Cuban link chain, ripped jeans, and the Air Force Ones from Comme des Garcon’s Nike collaboration. Overall, the look sizzles — and not just because he debuted it in Los Angeles during one of the most devastating wildfires of all time. Good style is all about not trying too hard. Kayne tends to do too much, and the open shirt, although functional for the desert, just doesn’t work. Scott makes this look his own without even seeming like he tried. Maybe it’s the confidence of youth, but Scott stole the show when he wore out this shirt. Thanks for playing, Kayne, but we’re sure you’ll be in the spotlight again soon.